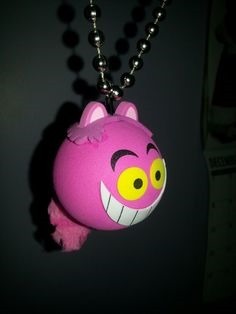 The first antenna topper article did so well, and people had so many suggestions for other ideas, I decided to compile a list of 5 more ideas to to do with your Disney antenna toppers!! What does this mean?? It means there are 10 ways to use your Disney antenna toppers! That’s just crazy to me!! Even I hadn’t thought of a few of these ideas. Not all of these ideas will work for you but, even if only 4 of the top 10 do, at least some of them might! Let’s check out the top 5 things to do with Disney antenna toppers… part 2!! 1. Ceiling Fan Pull– This idea is one that I actually had but I wasn’t sure anyone else would like. It turns out, a lot of people do it! This one doesn’t take much explaining, as all it takes is a little crazy glue OR some clear fish wire or thread to attach it to the chain pull. 2. Car Mirror Decor– This one is something a lot of people said they liked to do and perhaps it’s one you either didn’t know how to do OR you hadn’t thought of. Either way, here it is! I looked on pinterest and there were pins that taught you how to do this so, instead of reinventing the wheel, I added it to my board. If you want to check it out it is here at 4disneyfashion. I personally think the above picture also looks like a necklace and I suppose you could make jewelry… that’s a hidden extra use! 3. Make Fridge Magnets– This one is not as common as I thought but I think it’s great!! It’s a relatively easy process to do and I pinned it as well. You can find this how to list here at 4disneyfashion. 4. 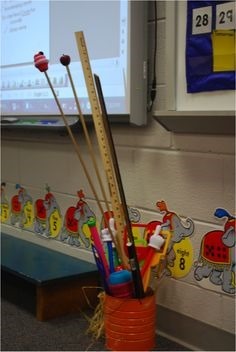 Make Pointer Sticks– This one is quite specific and mostly for teachers. I have a Disney addict friend who does this in her classroom and I thought this would be a great addition to this list! There are a lot of Disney addicts that are teachers and, perhaps, hadn’t thought of this idea!! 5. Display- This may seem like the same as a bouquet, as mentioned in the first top 5 article, but people pointed out to me this was different. This is a specific display built for your Disney antenna toppers. 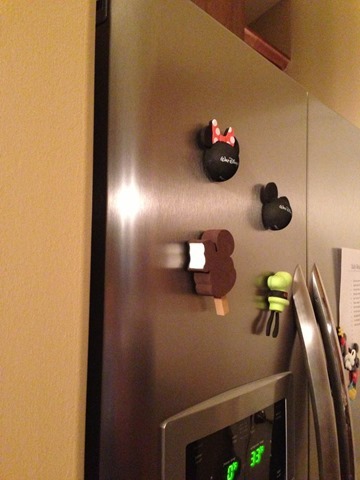 People stated they built desktop displays as well as more of a shadow box wall display but either way, it is a specific display for your Disney antenna toppers. I did pin some ideas I found on pinterest and you can check them out here. What do you think of the next top 5 ways to use your Disney antenna toppers?? Do you think you could use any of these ideas? Let us know your thoughts in the comment box below!! Last time we went to WDW, I bought a bunch and made them into Christmas ornaments. They were MUCH cheaper and I didn’t have to worry about getting them home in one piece!